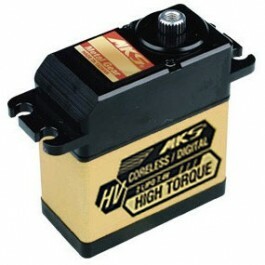 The MKS HV High Voltage Servo series is designed to operate at high voltage and low current, delivering higher torque per unit weight. A control data rate of 333Hz makes the MKS HV servo an exceptionally agile, ultra-fast responding product with precise control. Titanium gears, dual ball bearing output shaft, and strong overload protection delivers low noise, durability and long life.